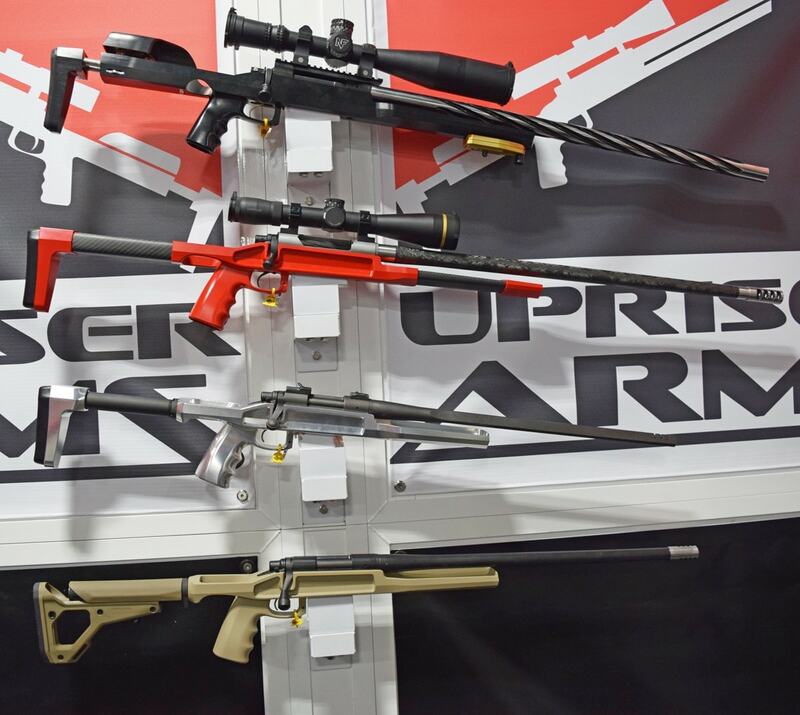 Upriser Arms mades its debut as a rifle maker at the 2019 SHOT Show in Las Vegas last month. 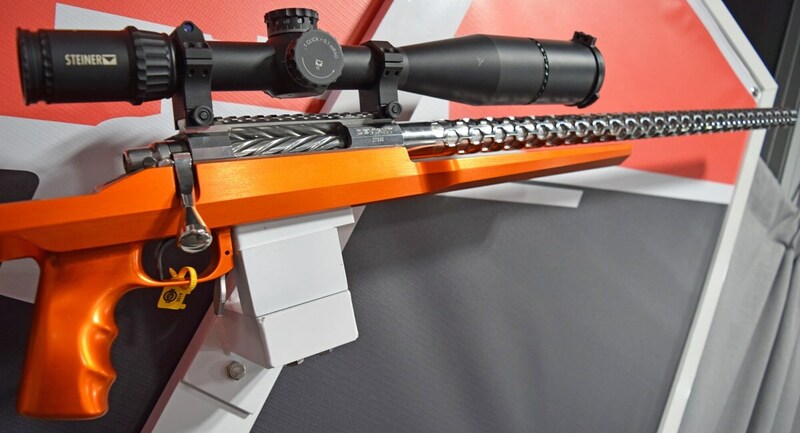 The Washington-based custom shop showcased high-end rifles that could run up to $20,000 in price depending on features. 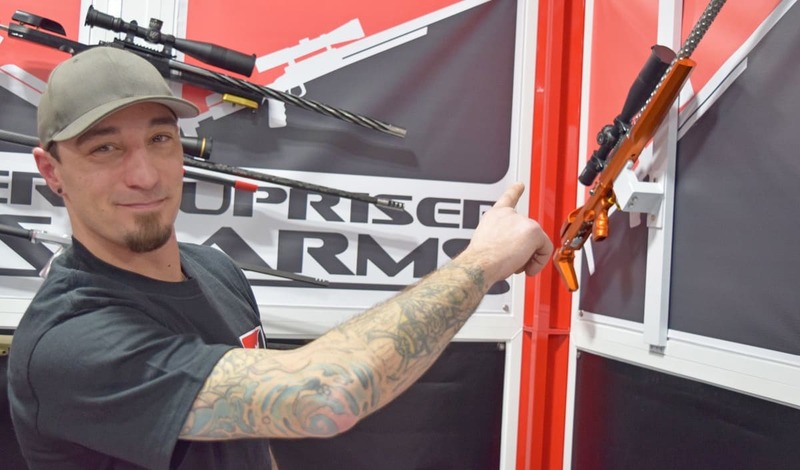 Located about 40 miles north of Seattle in Monroe, the company launched in 2012 with the intention of building rifles but ended up specializing in making chassis and bipods out of carbon fiber and aluminum, explained Morgan Featherston, one of the four working in the small shop. Eventually, in 2018, making rifles just made sense. “We made a prototype and tweaked and mod’ed it … then we went ‘let’s go with a titanium rod, let’s try a carbon fiber wrapping,’ so we started doing carbon fiber layout and getting pretty good at it,” Featherston said. He added that Upriser rifles have been popular with long range shooters and the lightweight features appeal to sheep hunters. Featherston explained Upriser rifles are made entirely in house. They use a Remington 700 short action for operations and oftentimes equip their guns with Benchmark barrels. As an example of Upriser’s work, Featherston pointed a flashy rifle hanging on the wall beside him, which they called “The Revolution.” The bolt-action rifle chambered in .338 Lapua had a bright orange chassis made of a solid aluminum, a shiny stainless steel barrel with octagonal checkering, nitrogen shocks for absorbing recoil, and a Steiner scope. With all the custom work on it, he said The Revolution would fetch between $15,000 and $20,000, but the cost of an Upriser rifle varies. “It’s really going to be dependent on all the options you want … I mean, we’ll customize it anyway you want and it’s just that’s where the cost is going to go up,” Featherson said.